Intown Thrift Is A Community Thrift Store. Our love for our community sits at the core of our business model. 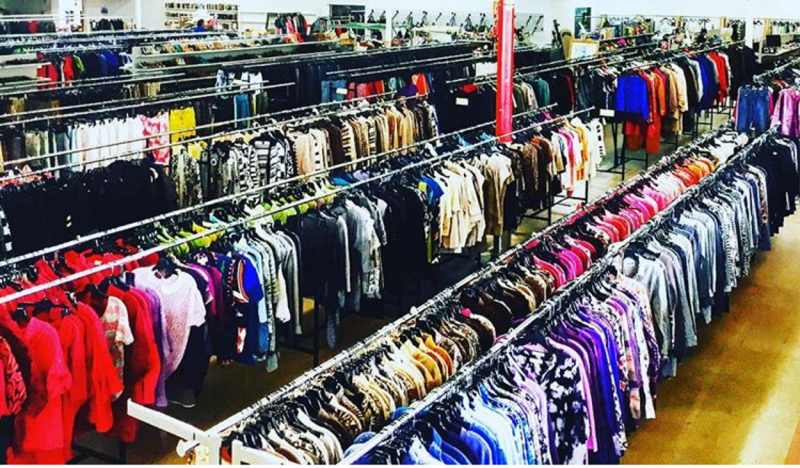 It is our daily goal to offer affordable clothing, accessories, household items, jewelry and furniture in a clean and organized environment to our neighbors. We want to be a resource for high quality used clothing, so hard earned dollars are not wasted on new, over priced items. Our Mission Is Simple: Serve. Intown Thrift, LLC was founded by Owners, Kelli Truelove and Dean McCarthy. Together, they set out to create a place where community members can purchase high quality goods at an affordable price. Both owners left jobs with a national thrift store chain, bringing with them experience on how to run a large store like Intown Thrift, but allowing them to make important customer service changes to keep community members and patrons happy and coming back. Intown Thrift is here to serve you. Please contact us if you have any questions or concerns about our store. We believe in lessening the impact of consumerism within our community. By reselling gently used clothing, community members can find great brands at affordable prices, and keep usable clothing and miscellaneous items out of landfills. Intown Thrift wants to provide a location for great shopping and great deals so our customers have more money to spend on their life experiences and more money to spend with other businesses within the community. Intown Thrift is dedicated to being a resource for quality goods at an affordable price in the community. We believe in the recycling and reusing of clothing and household items as a means of protecting the environment and reducing waste in landfills. Intown Thrift Blog at WordPress.com.